Harry Potter and the Half-Blood Prince is named the best-selling book of 2005 in the US. Harry Potter and Bridget Jones are boosting British film success at the box office, says the UK Film Council. 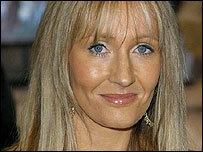 More than 300 million copies of JK Rowling's Harry Potter books have been sold worldwide, her agent says.